The Plainfield Fire Protection District provides 24 hour Emergency Medical Services 7 days a week. EMS calls totaled just over 3000 in 2015 accounting for nearly 70% of calls overall.. Advanced Life Support services are provided under the guidance of the Silver Cross Hospital EMS System in New Lenox. Our EMS personnel consists of 90 Paramedics, and 20 EMT-B’s licensed with the Illinois Department of Public Health. Paramedics must obtain a minimum of 100 hours and EMT-B’s 60 hours of continuing education over a 4-year period to become re-licensed. The majority of our Paramedics have a minimum Firefighter II certification from the State of Illinois. Having personnel with this high level of training translates into a greater level of service at the scene of an emergency. 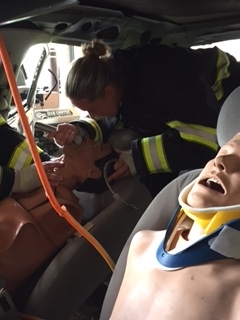 Our paramedics are trained in all areas of life support as well as operations such as vehicle extrication. PFPD EMS personnel respond to emergencies with a full fleet of emergency vehicles including 4 Advanced Life Support (ALS) Ambulances with state of the art life-saving equipment. We also staff 4 ALS Engines that respond to emergencies as well as an ALS Ladder Tower. For special events we also utilize an ALS “golf cart” capable of transporting a patient to an awaiting ambulance and two EMS bicycles equipped with an AED and 1st aid supplies. Our apparatus are stocked with some of the most advanced life saving technology available to date. In 2007 PFPD implemented the use of 12-Lead ECG monitoring to assure the highest level of care for our cardiac patients. 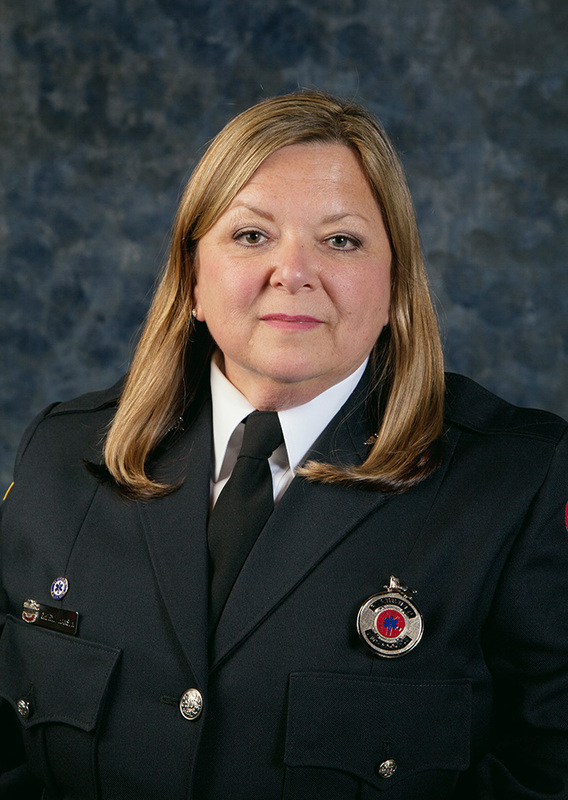 Our paramedics have the ability and technology to send a 12-Lead directly to the receiving Emergency Department for rapid review by a physician allowing a faster transition directly to the Cardiac Cath Lab, which can be a vital time saver, and a determining factor in the survival of a cardiac patient. Also, in 2007 we began using the “Zoll Autopulse” which performs compressions on the victim of cardiopulmonary arrest. 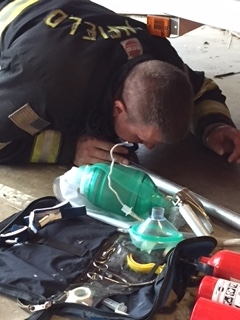 PFPD also can provide CPAP (Continuous Positive Airway Pressure) to patients with respiratory distress. This provides a shorter recovery period for patients. In the event that a patient’s status is considered critical, a medical helicopter may be requested to a specific landing zone to assist with patient transport. PFPD EMS personnel on the scene make the important determination regarding the need for a helicopter and make the request accordingly. A patient with a traumatic injury may be evacuated by air and transported to the nearest trauma center. 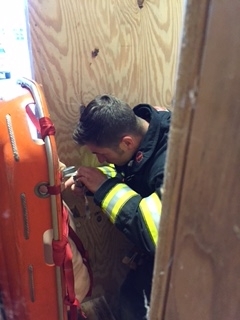 A patient with specific needs may be transported to the nearest facility capable of providing the care that meets the specific needs of the patient. In order to obtain a copy of an ambulance report, an “Authorization to Release Medical Information” form signed by the patient or other legally authorized individual plus a photo ID must be submitted. Copies of ambulance reports may be obtained at Plainfield FPD’s Administrative Office, Monday through Friday 8 a.m. to 4 p.m. For more information call (815) 436-5335. NOTICE OF PRIVACY PRACTICES - PLEASE REVIEW IT CAREFULLY.